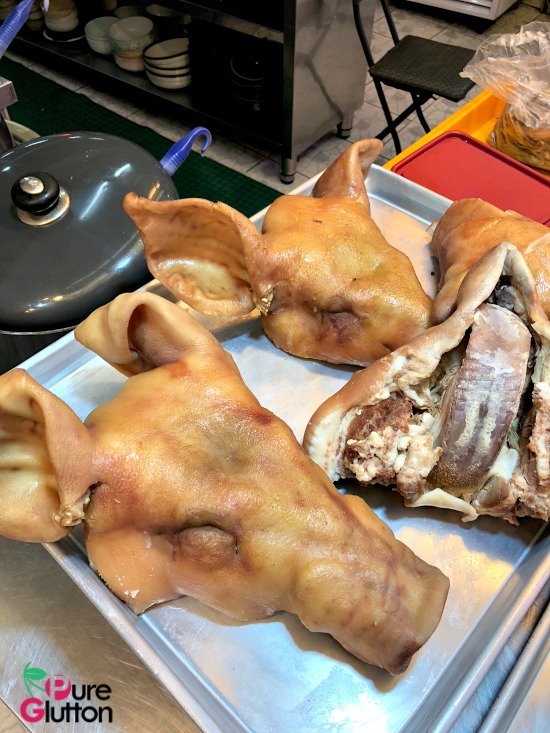 Whenever I travel to any city, I make it a point to visit at least one local market there. 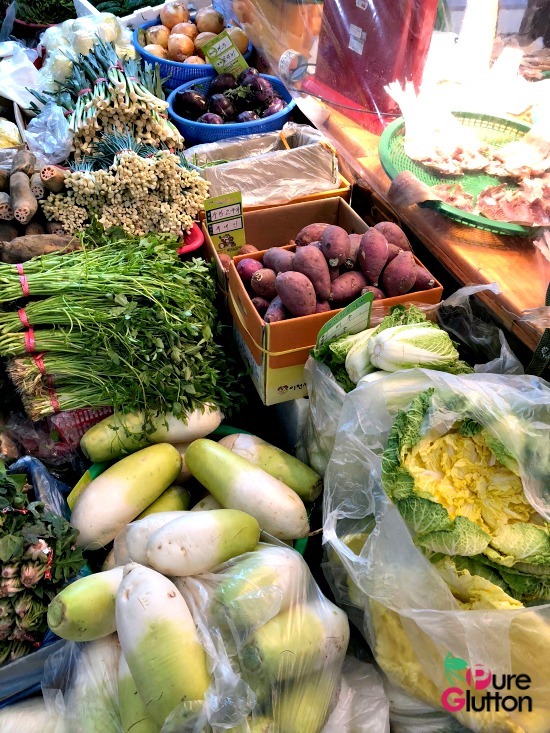 I love markets – this is where one gets to feel and absorb the local vibes and there’s always an invigorating energy wherever locals (and visitors) interact. 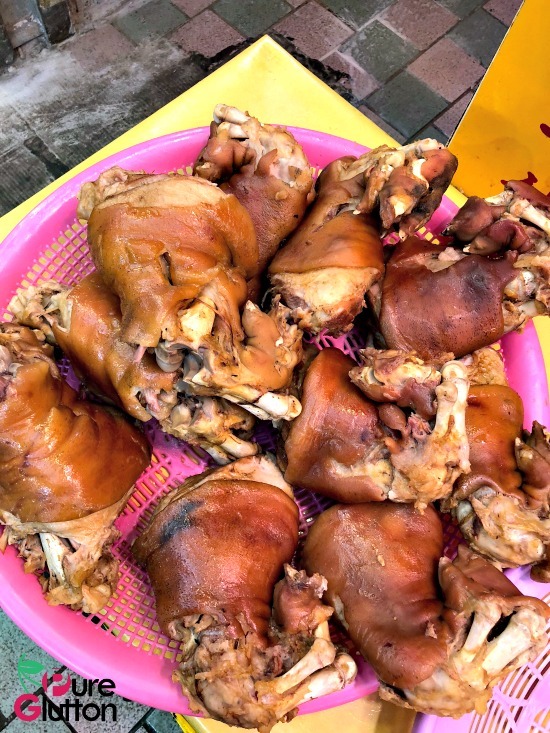 Want to see how the locals live and behave – go to their local markets! 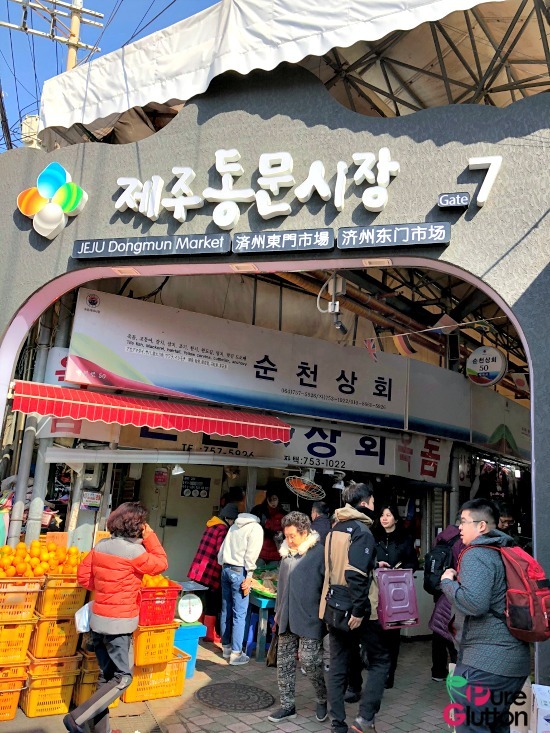 When I was in Jeju, I just had to go visit the Dongmun Market as it’s one of the oldest markets on the island. 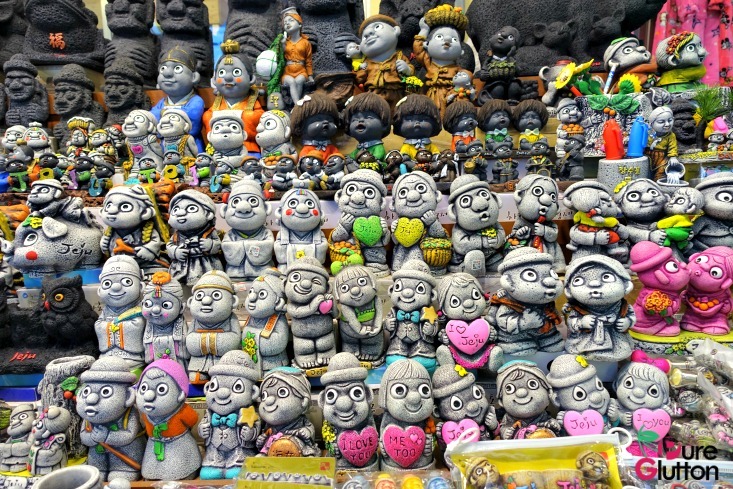 Built way back in 1945, it moved to its present site after a fire destroyed the original building in 1954. 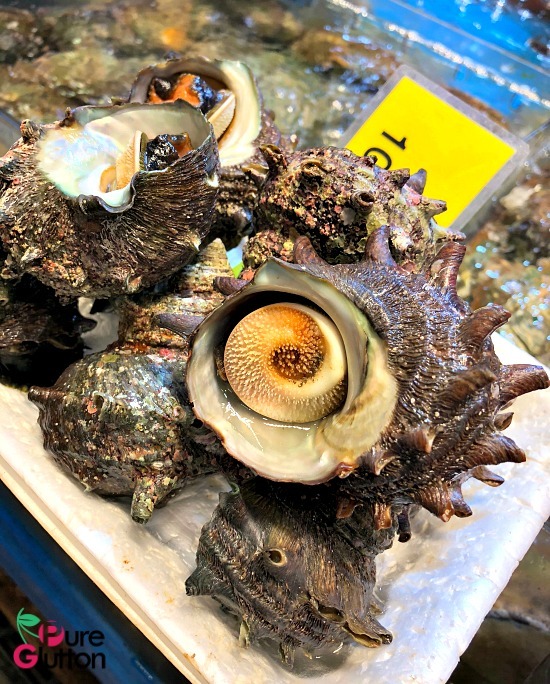 This market is a representative traditional market for Jeju and that explains why seafood is the focus here. 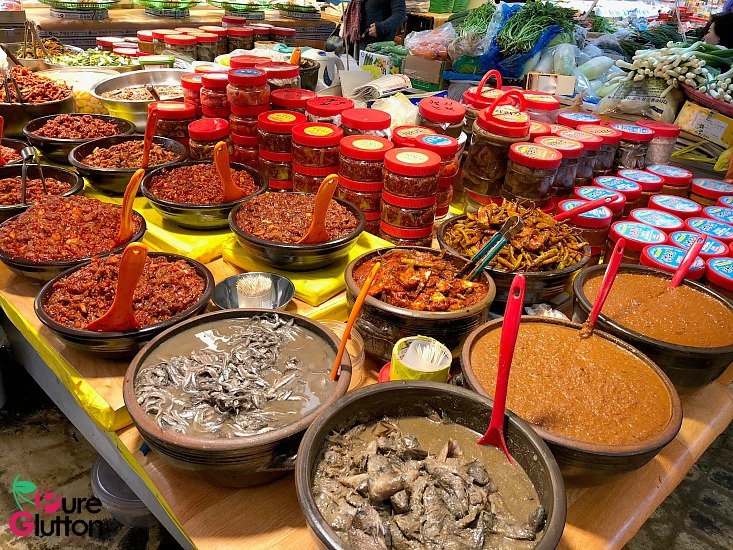 All kinds of pickled everything! 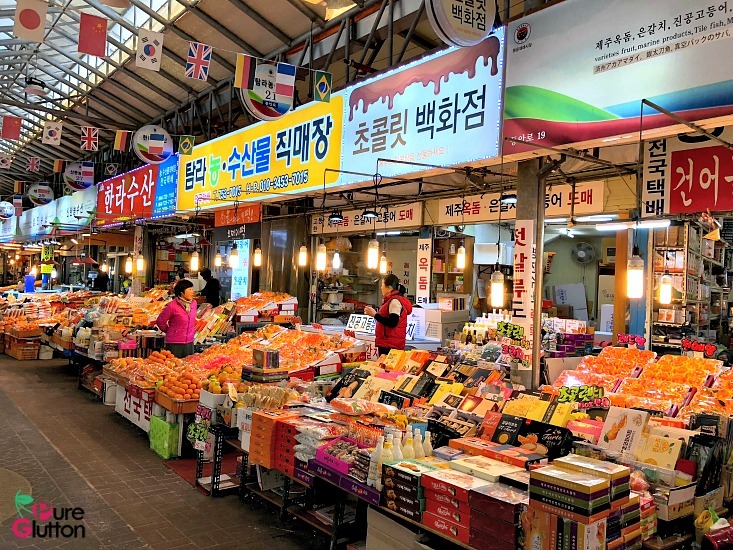 The market is very clean and dry and strolling through the stalls is very pleasant. 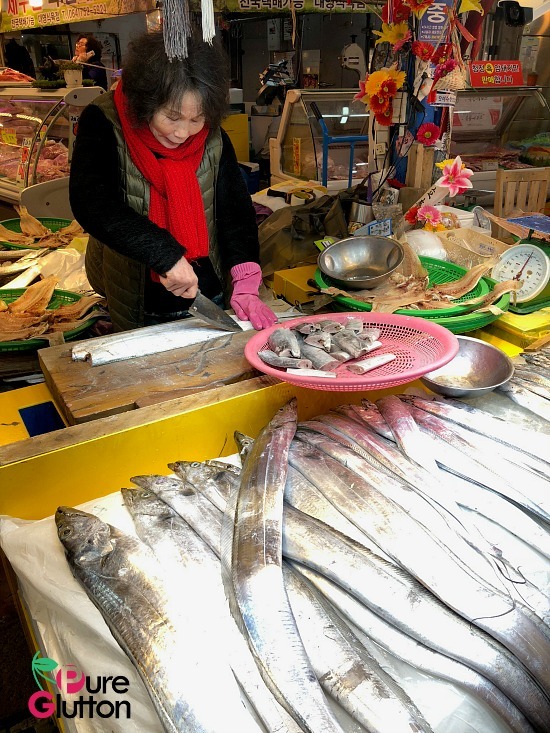 In the morning, the market sells fresh local produce like seafood, meats, fruits, vegetables, household items, clothes, bags, shoes…. 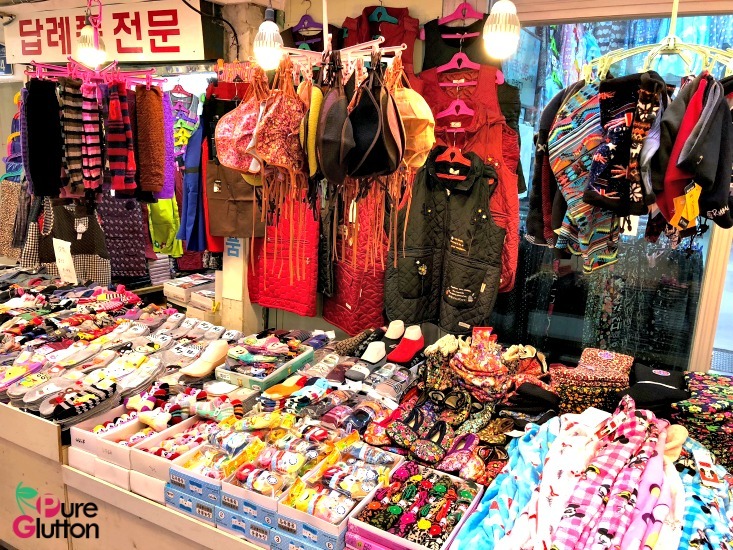 just about everything! 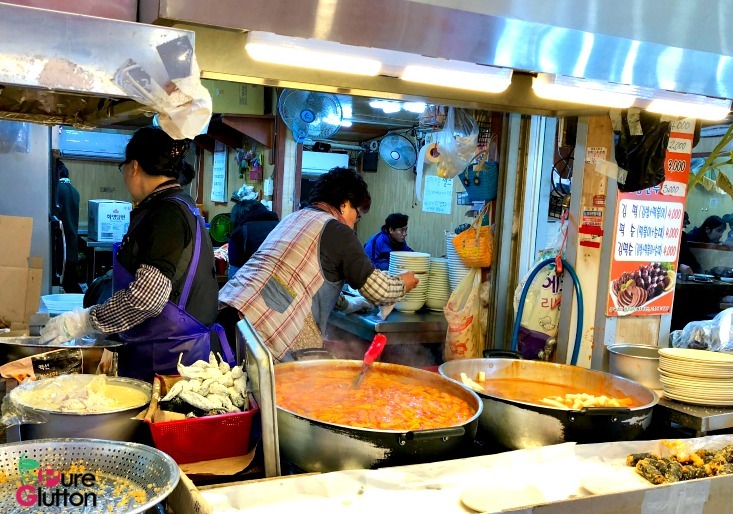 At night, food stalls take over. 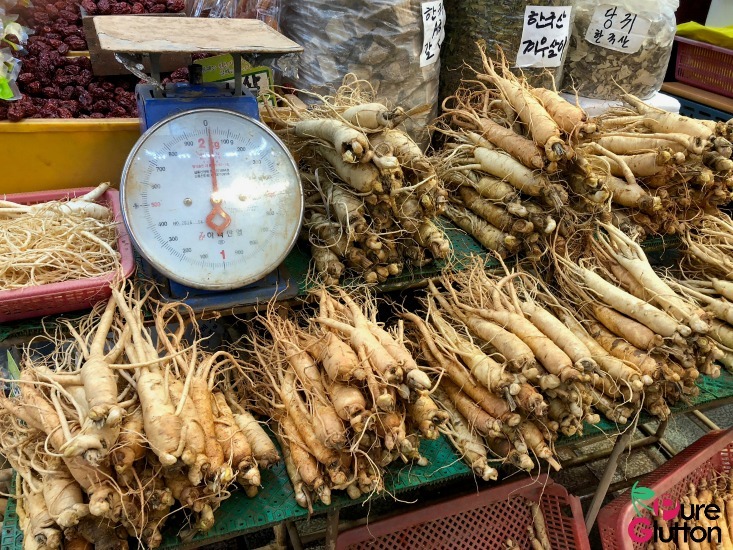 However, I was there in the morning and didn’t get to experience the night scene. 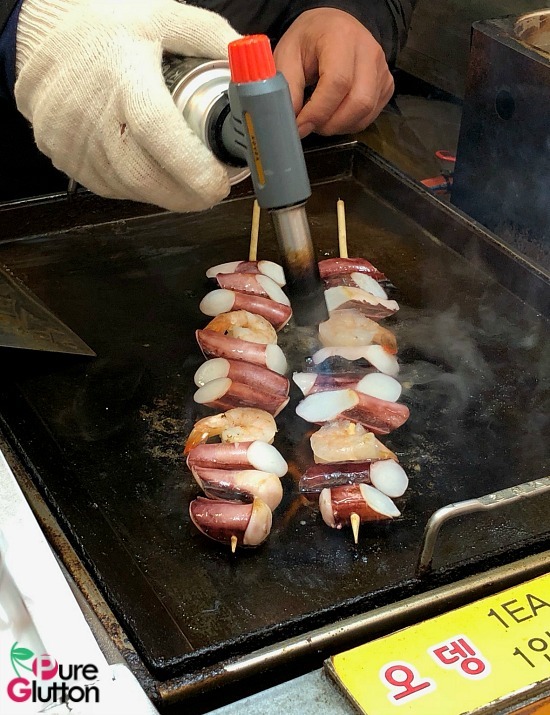 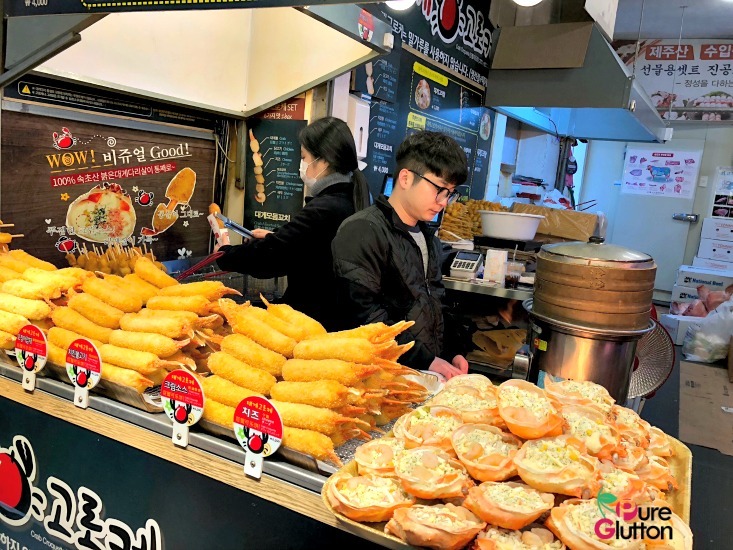 But even during the morning and afternoon, there are stalls selling streetfood – we had a breakfast of several types of topokki, fish cakes and grilled octopus. 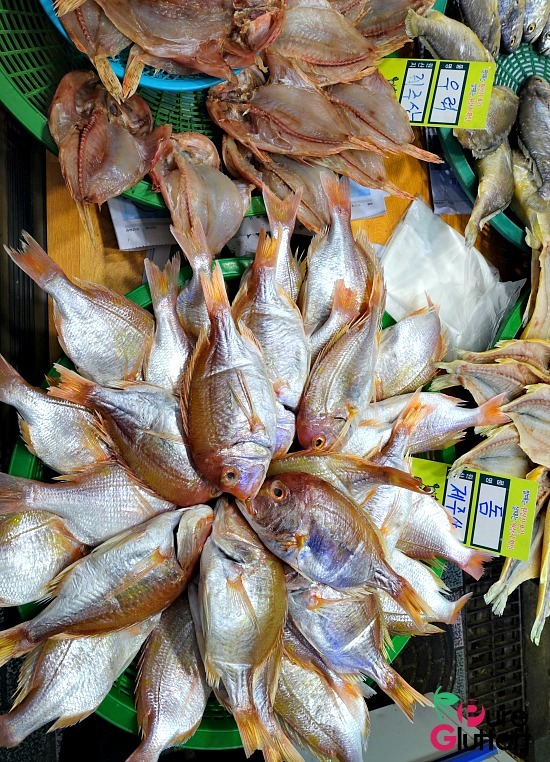 As Jeju is an island, the amount of fresh seafood available is just mind-boggling. 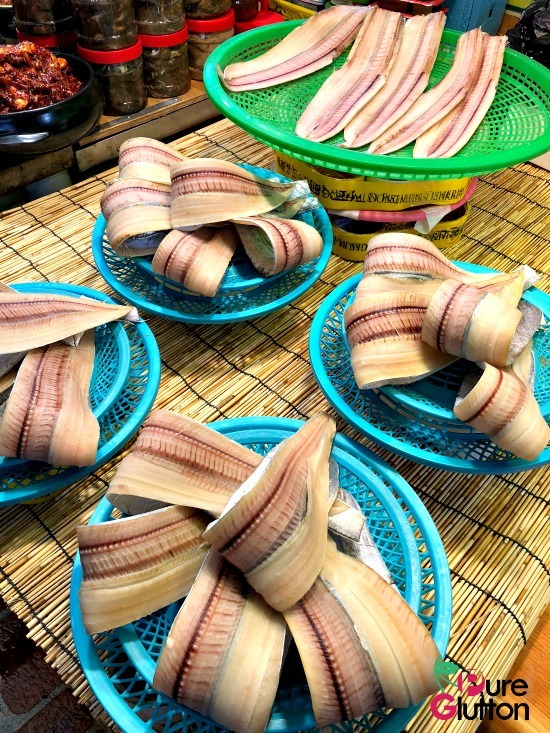 I got acquainted with the hairtail fish – “galchi”, a signature item in Jeju. 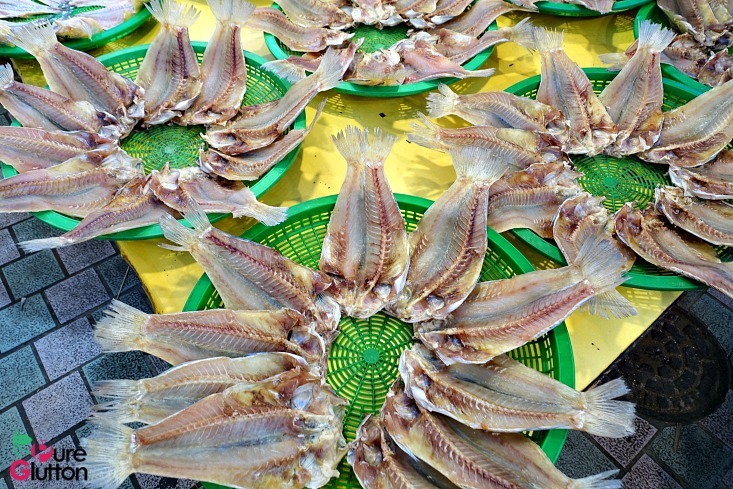 There are piles and piles of the long flat silver fish in the market – Koreans love this fish. 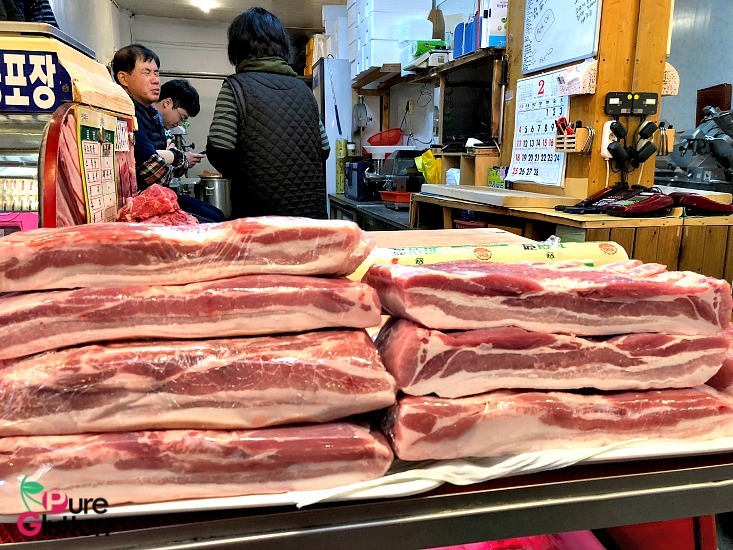 It’s usually cooked in a hot kimchi broth or just simply grilled – plenty of this is served in the eateries in Jeju. 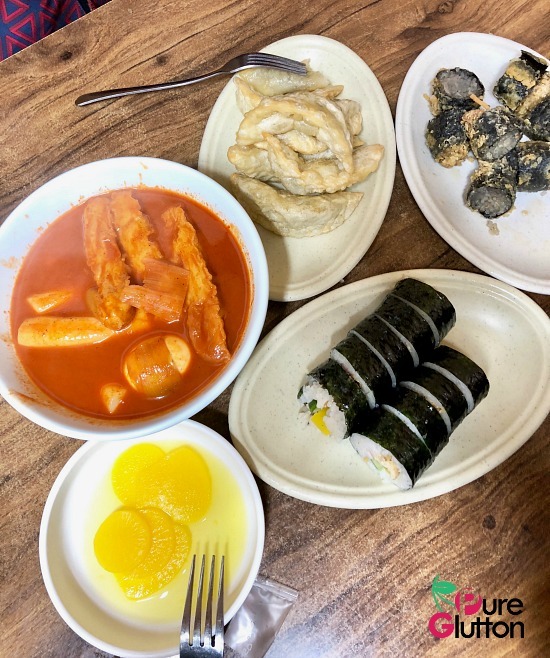 Live abalones are abundantly available and this is our favourite seafood in Jeju – it’s pretty affordable despite its “luxury” tag. 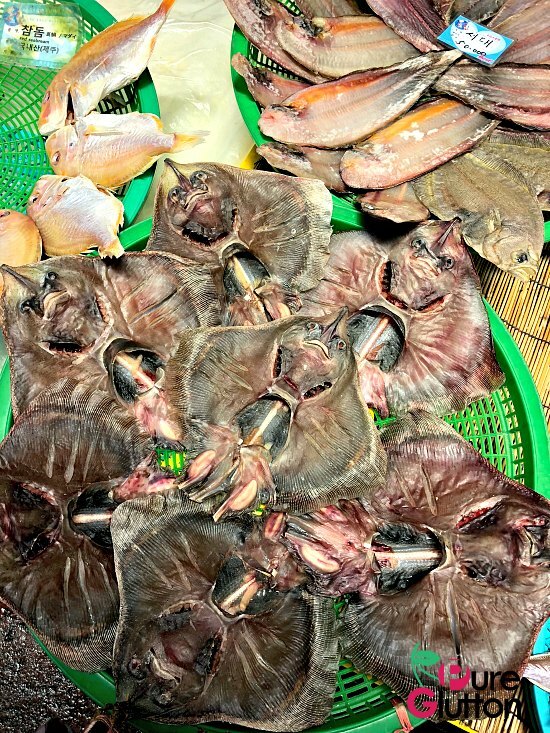 The best way to savour fresh abalones is to have them steamed or grilled. 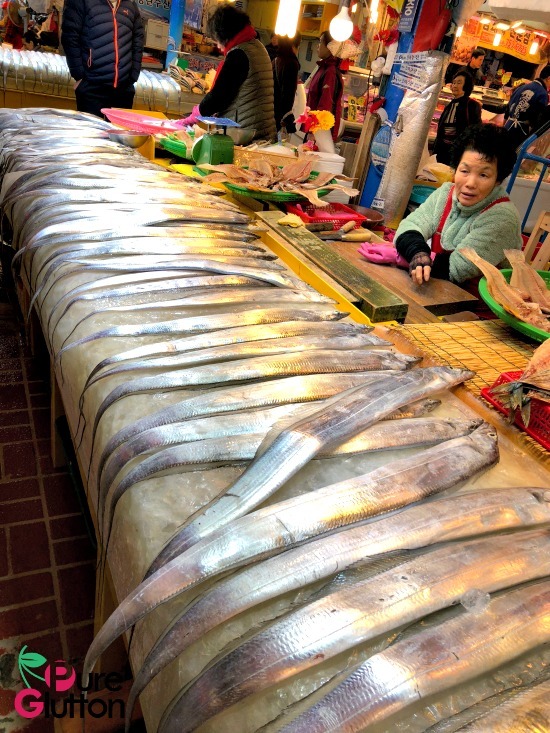 In Dongmun Market, next to the fresh seafood stalls, dried, smoked, pickled seafood are all laid out temptingly – great quality but a bit pricey. 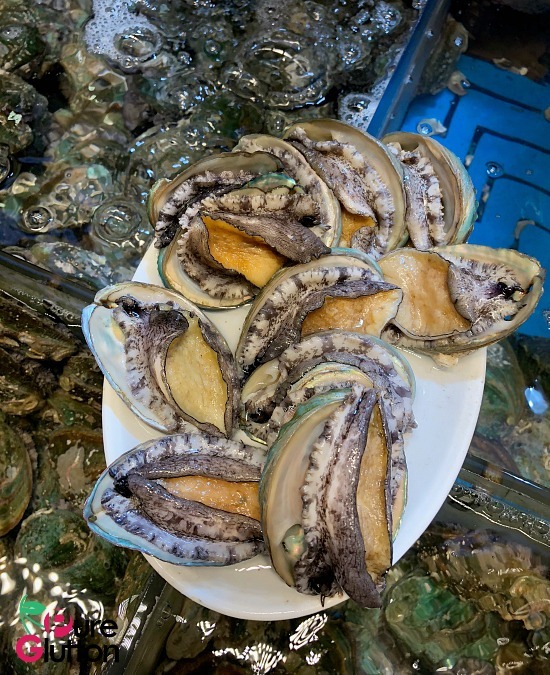 Abalones can’t get any fresher than these! 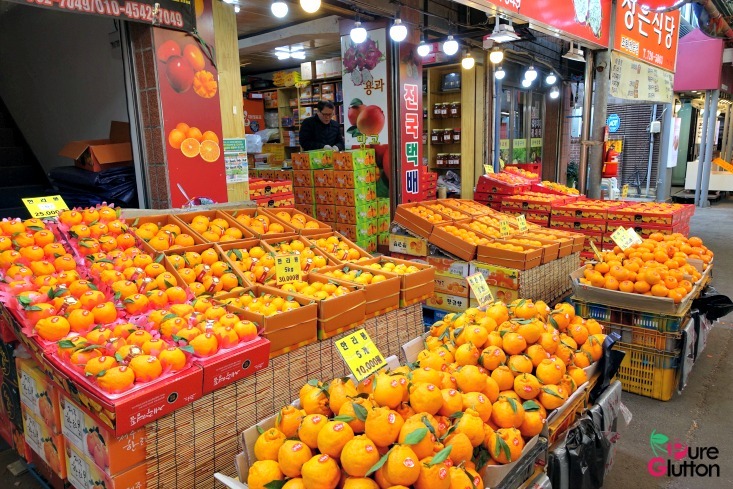 Look out for the hallabong too – Jeju’s iconic mandarin oranges. 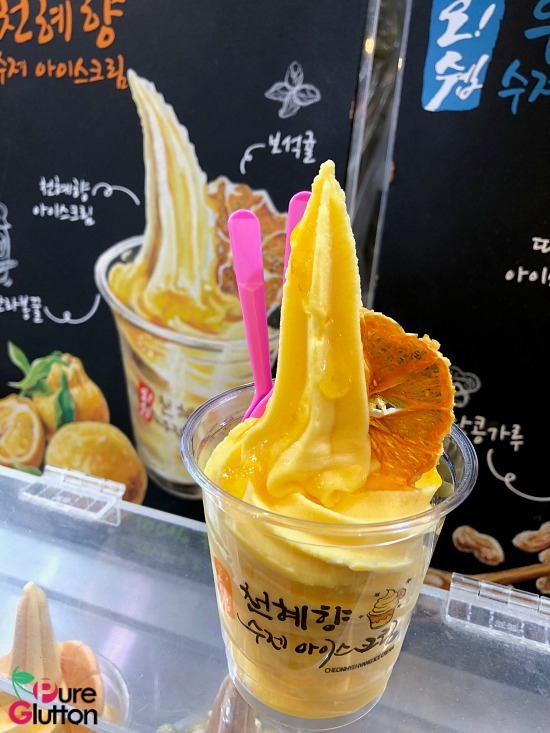 You can get the fresh fruits, hallabong juice and hallabong ice-cream too! 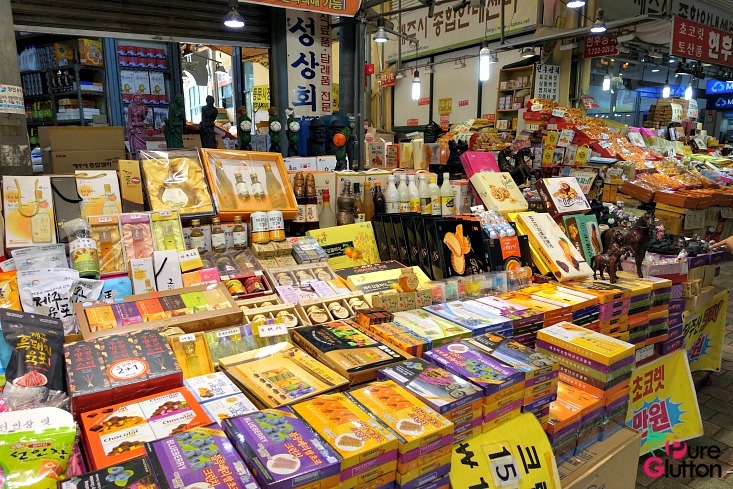 Local Korean snacks, kimchi and souvenirs are aplenty here… perfect to bring home. 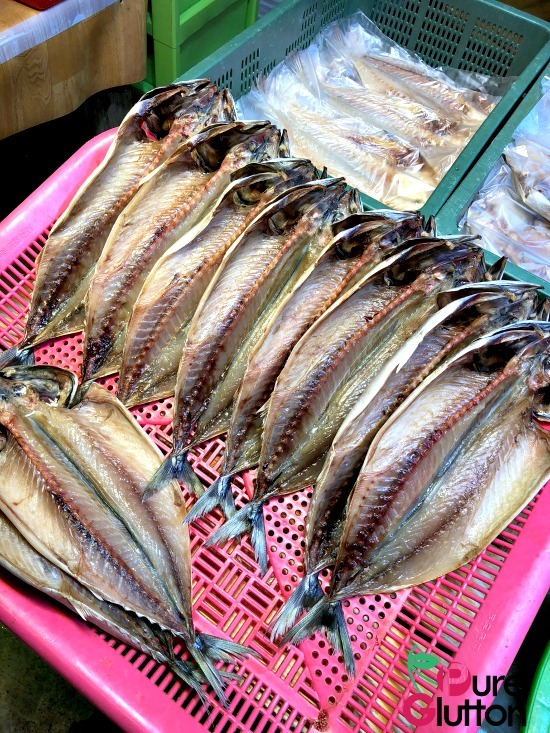 Dongmun is an interesting market to spend 2-3 hours… soak up the local flavours here!